Get complete assistance required for GST registration for your business need under one umbrella. Transition for new businesses and businesses already registered under any current indirect taxation system. All your GST related queries will be answered by our experts. We at All India ITR, provide expert assistance for GST or Goods and Services Tax enrollment. The recent announcement of submerging all existing indirect taxes such as excise duty, custom duty, entry tax, service tax or value added tax into one ground has given birth to GST. This will be the comprehensive tax system made to apply on manufacturing, selling and consumption of goods and services. It will be applied at each stage of purchasing and selling goods across India and all states will be covered under the same umbrella strategy. Although, the threshold for GST is different in northeastern states and other states including Union Territories. For all over India, the threshold has been set to an annual turnover of INR 20 lakhs excluding the seven northeastern states. For the northeastern states, it is set to an annual turnover of INR 10 lakhs. Our services are customised according to each state and their scheduled deadlines, so that anyone across India can avail the best trusted services to get registered under GST umbrella. 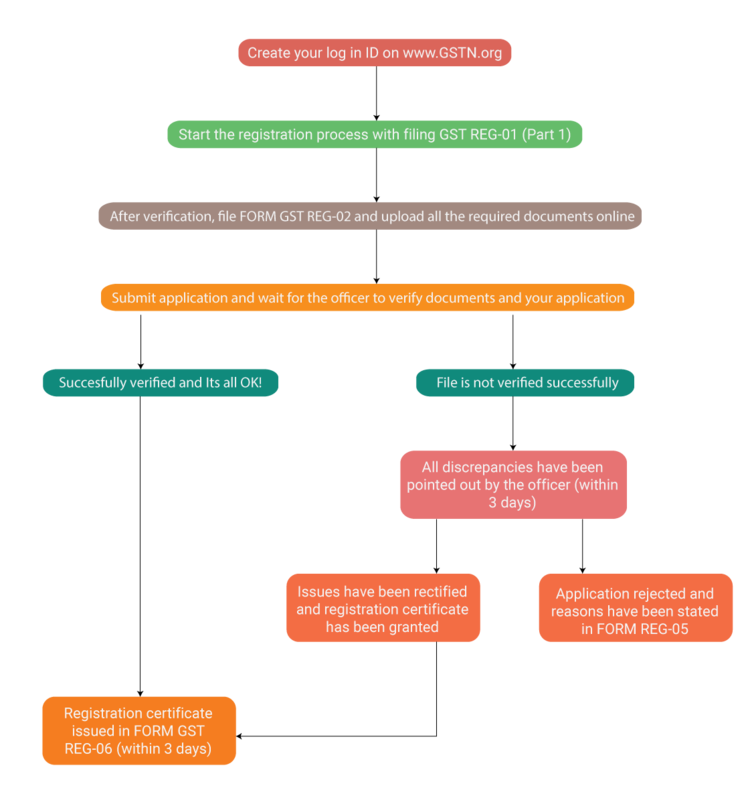 The GST registration process is simple and we will provide assistance in each step of the process so that you get your GSTIN in a smooth way. With us, you will get assistance for not only GST registration process but also for filing GST returns, validation process and extended information for all GST laws. Our services are tailored with extreme customization scale to meet the specific needs of your business. With us, you can integrate all industry standard tools into a customized platform to get a precise solution. We have all improved tools to help you with determining the supply chain actions along with applicable rates, according to the nature of goods and services. We have got smart accounting system to match invoices from vendors and buyers and to help you with credit input. We will provide fully integrated flow to get a control over vendor information. We have the smart system to allow you offline access to various part of our GST system. We will also provide you with cashflow report, credit reports, vendor report and statutory report at multiple levels.